With the car packed with agility equipment and Scotties (plus a rough Westie) Paul and I made our way to the Northern Scots event held in Crail. It was our first visit to Northern Scots and we were very excited to be holding our Scottie agility competition at the event. Setting our agility course up in the enclosed arena we were blessed with glorious sunshine. As the opening time to the event drew closer we were already attracting the crowds of Scotties and their owners. Barley and Paul gave a small demonstration to show everybody that Scotties can do agility and thoroughly enjoy themselves as they race round the agility course. We soon had a queue of very eager Scotties and owners wanting to try their hands and paws at agility. With Paul as judge and guiding both Scotties and their owners round the course and Steve on scribe duty with stop watch and score sheet we were ready to start the competition. Scotties and owners of all ages and sizes had a go at the agility course and hopefully enjoyed themselves with a few giggles along the way. The afternoon event went so quick and before we knew it we had to close the competition as the Northern Scots event was coming to a close. Thank you to all the Scottie and their owners who took part in the competition and for those who spectated for making this another wonderful event. 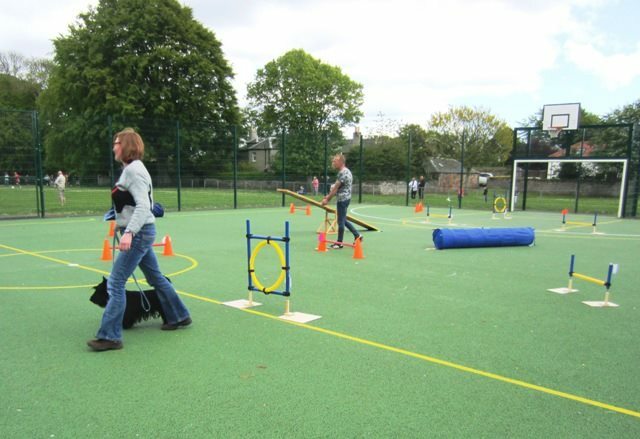 Paul and I hope you all enjoyed yourselves and hope you are going to carry on with training your Scottie agility Hope to see you all at the next STECS event. A very well done to all the Scotties and handlers who took part.